Nominate a nurse or midwife today! 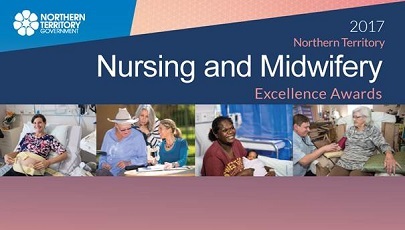 The countdown is on with only five weeks remaining to submit a nomination for this year’s Northern Territory Nursing and Midwifery Excellence Awards. The awards are a great opportunity to recognise the efforts of Territory nurses and midwives. Anybody can submit a nomination - you can nominate a peer or a nurse or midwife you know who provided you, or somebody you know, with outstanding patient care. This year there are 14 award categories across a range of nursing and midwifery specialist areas. This includes two new awards, Team Award for Excellence in Nursing/Midwifery and the Client Appreciation Award for Excellence in Nursing/Midwifery, which is targeted at health consumers to allow them to acknowledge a nurse or midwife they have received care from. The award recipient for the Lifetime Achievement category will receive $2000. Recipients for all other awards receive $500 and may be selected as Territory Nurse or Midwife of the Year, which carries a prize of $2000. Nominate online or visit www.nmea.nt.gov.au for more information.